Today we’d like to introduce you to Justine Arian. Justine, let’s start with your story. We’d love to hear how you got started and how the journey has been so far. I always knew I was here to make a difference but never knew what that would look like, until I gave birth to my daughter. I had always questioned my own adequacy and ability to be powerful and influential, like the people I grew up with. It wasn’t until my natural home birth with my first child, that I came to know my own strength and capability. I was completely changed in an instant and I knew what my purpose was-to empower other women on their own personal journeys of self-discovery. In 2003, a year before the birth of my daughter, my mom introduced me to life coaching and immediately fell in love. I knew I had found my “thing”. After giving birth, I became a pregnancy coach, childbirth educator and doula. I even created The Empowered Birth Method, which combined my love of coaching and education to support women in making empowered choices for their birth and parenting journeys. After the birth of my son, I became acutely aware of the challenges of raising 2 young children, having a job, running a business and trying to maintain a relationship and a connection to myself. 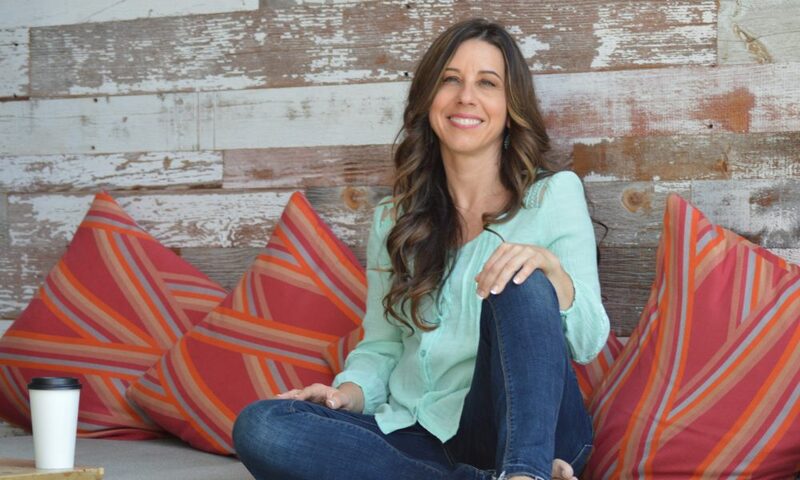 In order to answer my own needs, I started leading Personal Renewal Groups for Moms, where I helped women re-connect with themselves after having children, and learn to prioritize self care. Eventually, I began coaching entrepreneurial moms on how to maintain balance while pursuing their passions. In 2016, I founded the Multi-Passionate Moms Club, a virtual and in-person community for mom entrepreneurs, change-makers, visionaries and leaders to birth their best selves and great work into the world. In 2012, I created a live women’s empowerment event called, Finding Me, Impacting WE, where I brought together women leaders in the community to share their gifts in helping other women discover themselves and their gifts for the sake of making a difference in the world. All proceeds benefited local women’s non-profit organizations. It has become an annual event. I also lead several group coaching programs and a mastermind that empower women to consistently show up for themselves and share their gifts. Goodness no. My business has been more like a hobby for the first 10 years. As a multi-passionate woman myself, I struggled to choose one thing to focus on and be successful at. I dabbled in a lot but never felt successful in anything until I was finally willing to choose and focus these past couple years. It was a long road and lots of struggle for me to finally see that a) I needed to choose one thing to focus on at a time and give it my all if I wanted to succeed, and b) I didn’t have to give up anything. I could still pursue all my passions, just not all at once. One of my biggest challenges has been finding the time to focus on my business while being the kind of mom I want to be, and meeting all my other obligations. I had a belief that if I were to be successful in my business the way I envisioned being, I wouldn’t be able to be a good mom too. I held onto that belief for many years and it prevented me from taking my business seriously. Today I have found a way to honor all the parts of me that matter most. I think also learning to ask for help and not feeling like I need to do everything myself, has been a huge burden lifted. Many times over the years I have stopped myself from making progress because I thought I had to figure it all out by myself. When I finally learned to delegate, everything changed for me in my business. Please tell us about Justine Arian, CPCC. I am a women’s empowerment coach, speaker and author. I specialize in working with multi-passionate moms who are visionaries, entrepreneurs, leaders and change-makers by empowering them to feel confident in who they are so they can share their gifts and make a difference. I am proud of the high level of service I provide my clients. Connection is one of my core values and I pride myself on creating strong connections with women in my coaching circles and community. Everything I do is highly personalized. I don’t have cookie-cutter approaches to causing transformation. I take a genuine interest in every client and community member’s success. I care deeply about them. I am also proud of my innovative programs and approaches. I am a visionary and trail blazer and create unique programs and offers that reflect where I see my women headed. I take a proactive approach. What sets me apart from others is my direct yet compassionate approach to coaching. I call out what I see and not let my clients off the hook, while fiercely loving on them. I am willing to have the difficult conversations in service of my clients. I have found that they appreciate that. I have so many great childhood memories. I think what stand out for me most is all the travel we got to do. My parents, who were divorced, both love to travel so my brother and I really got to see a lot of the world growing up. It has shaped my world view and the person I am today. I learned at a young age that our way of living is not the only way. It expanded my mind and my appreciation for culture. $1 30 day trial for my Multi-Passionate Moms Club membership.